"Winter Starts - Cold and Foggy"
"Under a picnic bench on Whitehaven Beach, Whit Sundays, Australia." 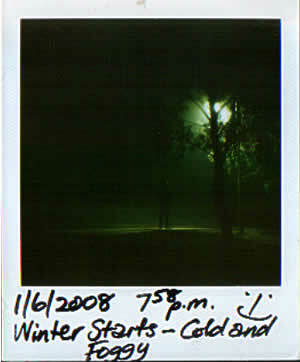 "I spotted it under the bench, and for some reason I had the compulsion to pick it up, I showed others around me who seemed to find it less enchanting than I did, curiously I read the back, then somewhat secretly placed it inside my bag, only to forget about it, then remember it a few days later at near midnight. I might drop it off in Sydney somewhere when I travel there for Christmas."